For the past two and a half years, AdvantEdge Business Centers’ West End location has been the base of operations for Centro Media’s Washington, DC-area office. In that time, their team has grown from two individuals to a staff of fourteen, and they continue to thrive and expand in AdvantEdge’s executive suite environment. 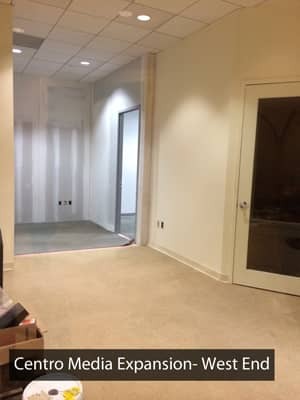 A prime example of how critical flexibility in office space can be, they originally occupied just a single windowed office with two desks before doubling in size within the first year. 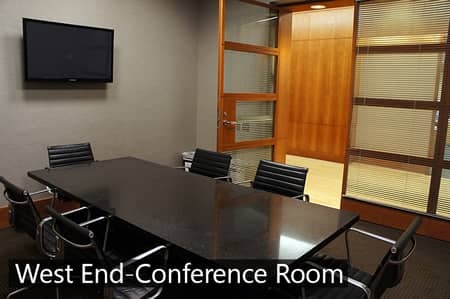 With the help of AdvantEdge they seamlessly moved into a two-room suite effectively overnight, and without missing a beat or losing productivity. Less than a year later, their staff doubled again, and AdvantEdge custom-built a five-room private suite of nearly 1,000 square feet to accommodate Centro’s newest employees. By bringing them into the design process, they were able to add custom elements for their company that fit exactly what they needed, all while staying in the same location. 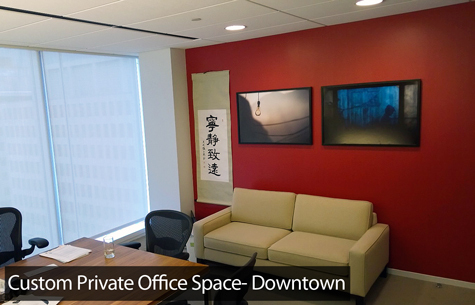 AdvantEdge specializes in providing space for companies who are looking to grow but might not have a definite timeline. For 26 years we have been helping businesses achieve their goals through remaining flexible and working with clients to provide them exactly the space that they need whenever they need it. Centro Marketing Coordinator Melissa Wallace succinctly describes the extent of their services: “Centro partners with advertising agencies to improve campaign performance and productivity, better manage costs, and maximize profitability through its managed services and cloud software offerings. Since 2001, Centro's media logistics specialists have successfully planned and executed more than 20,000 local and national campaigns across all digital display platforms and ad media types.” For more information regarding Centro’s mission and vision, visit www.centro.net.